Misano Adriatico's beach is characterized by fine, white sand that stretches for about three kilometres away and the ideal place for families with children, but also for those who love to live the summer in the sun between games, matches, beach tennis, beach volley and swim in the safe waters. The beach is equipped with bar, sun umbrellas and sun beds, playground for children, facilities for sports and gyms in the open air. In short, impossible to get bored! Several factories also have areas pet friendly designed for those who travel with their four-legged friend. These areas are fenced off with everything you need: umbrellas, sun beds, bowls, toilet bags and shower to cool dogs on hot days. 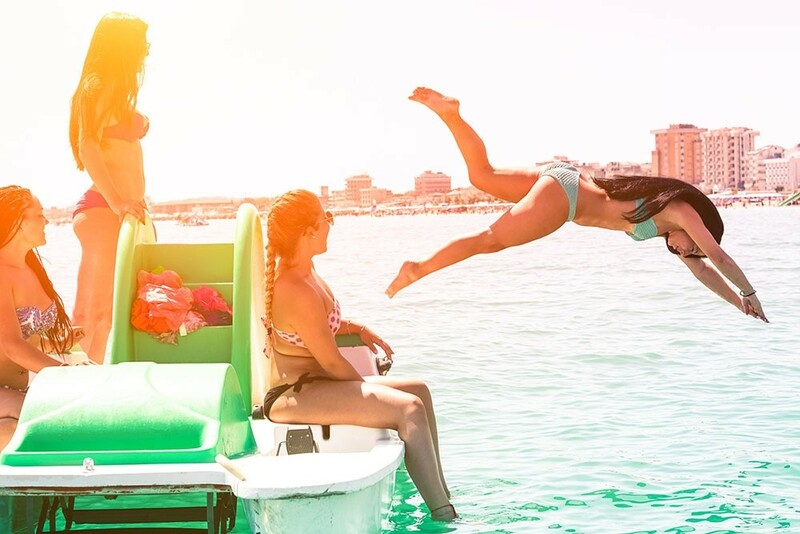 In recent years, the beach of Misano Adriatico has been awarded several times with the blue flag, the international recognition that certifies the quality of its sea, the cleanliness of its beaches and the presence of services and security measures. Anyone can feel comfortable diving in our sea: the waters are shallow and wide, there is a system of breakwaters which create small natural coves, where the water is never agitated. If this were not enough, the bank is constantly monitored by the rescue personnel.